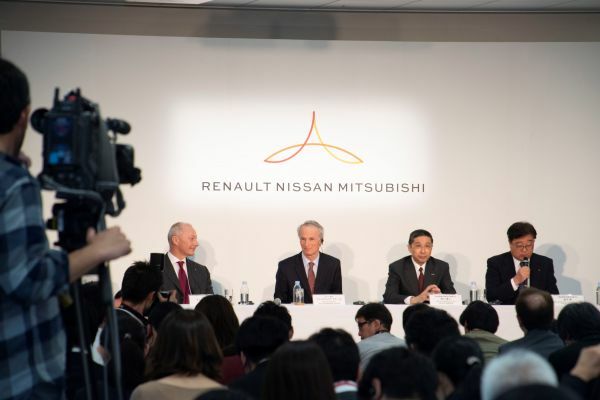 From left to right: Thierry Bolloré, CEO of Renault, Jean-Dominique Senard, Chairman of Renault, Hiroto Saikawa, CEO of Nissan and Osamu Masuko, CEO of Mitsubishi Motors. Jean-Dominique Senard will act as Chairman of this new operating board of the Alliance, with the CEOs of Nissan, Renault, and Mitsubishi Motors also joining the board. 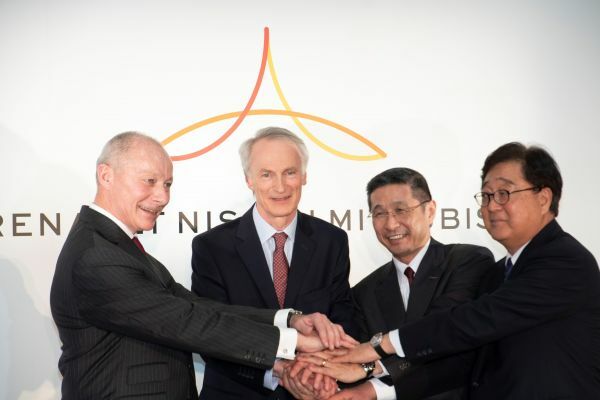 The new Alliance operating board will drive the operational cooperation between Nissan, Renault and Mitsubishi Motors and look for new ways to generate value for its respective shareholders and employees. In order to continue to strengthen the Alliance as well as lay the foundations of its future successes, Jean-Dominique Senard, Hiroto Saikawa, Thierry Bolloré and Osamu Masuko are today announcing the intention to create an Alliance operating board for Nissan, Renault and Mitsubishi Motors. To lay the foundations of the new development stage of the Alliance, the new board will be composed of the Chairman of Renault, who will also act as Chairman of the new Alliance operating board, and the CEOs of Nissan, Renault and Mitsubishi Motors; the operating decisions taken by the Alliance Board will be consensus-based, furthering the Alliance’s “win-win” approach. Groupe Renault, Nissan Motor Co., Ltd. and Mitsubishi Motors represent the world’s largest automotive alliance. It is the longest-lasting and most productive cross-cultural partnership in the auto industry. Together, the partners sold more than 10.7 million vehicles in nearly 200 countries in 2018. The member companies are focused on collaboration and maximizing synergies to boost competitiveness. They have strategic collaborations with other automotive groups, including Germany’s Daimler and China’s Dongfeng. This strategic alliance is the industry leader in zero-emission vehicles and is developing the latest advanced technologies, with plans to offer autonomous drive, connectivity features and mobility services on a wide range of affordable vehicles.